A glance through the latest expert views and predictions about commodities. Oz miners; energy; and bulks. 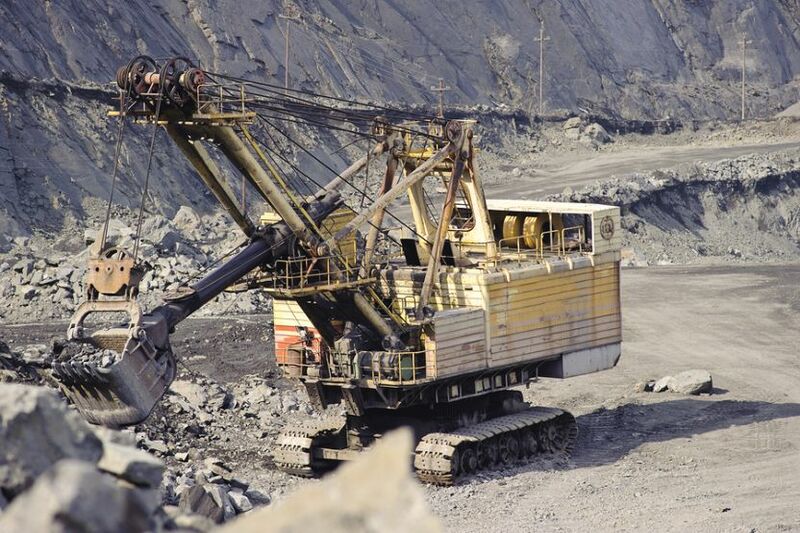 RBC Capital Markets considers the Australian mining industry is in a ''honeymoon'' phase, as the worst of the bad times are behind, whilst the significant risk taking involved with growth is yet to come. Slowly, the analysts observe the sector is changing. Investors are now less hostile to M&A and there has been some "good" recent examples such as Northern Star's ((NST)) acquisition of Pogo. RBC points out there is a finite pool of assets and, as a result, many companies have ratcheted up rhetoric around potential combinations, amid generally favourable market reactions. Another developing feature is that mid-cap producers have recommitted to exploration and, more recently, the major miners are noting potential discoveries. At some stage new projects will be sanctioned, although the analysts suggest these may not necessarily be adding to existing production. The sticking point for investors, RBC suspects, will be whether capital is being used to simply stand still. Those with capital plans that can deliver outright growth in the near term are likely to be better received than those that are simply trying to stay in business. Oil prices may have fallen -28% since the beginning of October but Macquarie's analysts expect a relief rally, which should have positive implications for stocks under coverage. Support for oil prices is expected in the near term because of cold weather in the northern hemisphere at an end to the refinery turnaround period. On the supply side, OPEC is expected to bow to the inevitable and cut production at either the G20 meeting on November 30 or at its meeting with Russia in Vienna on December 7. Oil Search ((OSH)) remains Macquarie's preferred large cap oil stock. The broker believes it has the greatest leverage to near-term oil upside. Santos ((STO)), also rated Outperform, has reduced its leverage and exposure to oil prices following the recent acquisition of Quadrant Energy. Woodside Petroleum ((WPL)) is the least preferred, as it is trading at a premium to both Oil Search and Santos but without the growth potential. Beach Energy ((BPT)), rated Neutral, offers near-term exposure to an oil rally but the risk to growth targets tempers the broker's enthusiasm. Macquarie prefers Cooper Energy ((COE)) and Senex Energy ((SXY)) among mid-cap oil stocks as both offer exposure to east coast gas prices. Ord Minnett agrees the Australian energy sector looks more attractive after the drop in benchmark oil prices. The broker was concerned about full valuations but now find share prices in four out of the six energy stocks under coverage are below valuation. Hence, the broker upgrades Santos and Origin Energy ((ORG)) to Buy and Woodside and Senex to Accumulate. Ord Minnett believes Santos offers growth, with production expected to increase more than 75% over the next six years. Origin Energy is also attractive, as wholesale prices could have a positive impact on the company's retail electricity business. Ord Minnett reiterates a Buy rating for Beach Energy as, while it is most exposed to domestic markets, it has a strong balance sheet. Citi observes bulk commodity spot prices are elevated against a backdrop of heightened trade tensions between US and China. This is also against a sell-off in other cyclically-exposed industrial commodities such as base metals and crude oil. The bulks have benefited from constructive Chinese end-use steel and coal demand amid persistent controls over Chinese supply growth and widening quality differentials. Citi expects benchmark prices will fall over the next 3-5 years but not to the levels previously anticipated. In thermal coal, high-ranked Australian producers are expected to benefit from consolidation and the price inelasticity of Japanese power plants. Low-cost Indonesian producers will enjoy strong margins and market share in the near term, Citi suggests. The broker expects the high-ranking Atlantic Basin coal miners will be the first to suffer from a potential wave of cheap gas and severe market competition in Europe. In iron ore the broker suggests lump and pellet producers will remain relative winners because China needs to reduce sintering and shaft pelletising operations to improve air quality in the Hebei region. Credit Suisse reduces low-grade discounts and high-grade premiums for its iron ore forecasts, believing the cycle of Chinese steel mill super profits is over. With a downgrade to steel demand from Hong Kong-based colleagues, Credit Suisse takes a negative view. Steel margins are expected to normalise towards the lower levels of RMB200-400/t. Cost control rather than efficiency is now the priority for steel mills. Given the bearish outlook for the Chinese steel sector, Credit Suisse believes hard coking (metallurgical) coal imports will fall. Elevated prices over the last 2.5 years have incentivised new supply, particularly in Queensland. The broker's forecast surplus has increased but the pace of the price decline has been moderated. Morgan Stanley observes hard coking coal keeps beating market expectations and prices remain elevated. The spot price of US$222/t FOB Australia sits US$90/t above the 90th percentile on the seaborne cost curve, highlighting current market tightness. The broker points out the tight market was also emphasised when the price rose US$20/t on the outage at North Goonyella, 2% of Australia's hard coking coal exports. North Goonyella is not expected to re-start before the second half of FY19 at the earliest. As Australia cannot fulfill the growing demand, the marginal swing supplier, the US, has increased exports by 14%. Despite its crude steel output, China's coke production is down -2% on higher usage of scrap and, in line with its lower metallurgical coal needs, imports are down -4% year-to-date. India is driving demand. as it lacks a quality domestic coking coal endowment and has to import. Indian imports have surged by 15% in the current year to 60mtpa. While the supply base for coking coal remains under pressure, Morgan Stanley notes Australia's thermal coal exports are running higher which suggests some of the lost semi-soft coking coal and PCI coal is being sold in the thermal market.